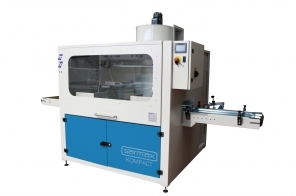 The automatic SARMAX sprayers for wood carpentry sections model AUTOSPRAY and KOMPACT are specifically designed for continuous-cycle and high-speed finishing jobs. Made to cater for stringent protection and top-quality requirements. The protective outdoor and interior coatings (finishing coats) are very dense and in some cases take the form of gels that are hard to apply using traditional systems impregnation machine. That’s why they have to be sprayed using high-pressure systems. 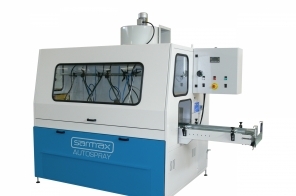 Sarmax sprayers are able to cater for such needs in the very best possible way.